The absolutely shameless notion of in-app purchases inside games aimed at kids has hit the headlines big time, after one five-year-old boy managed to spend £1,710.43 on miserable £69.99 bundles of in-game junk. The boy in question is called Danny Kitchen. The game is Zombie v Ninja, which is “free” for download on iTunes. When he asked for the iTunes password Danny’s parents typed it in, saying they were reassured by the fact that the game was listed as being free, so left him to get on with playing the thing. Apple has agreed to refund the money. While it’s nice of Apple to do that, it would be nicer still if it stopped publishers putting abysmal, money-grabbing bundles of £69.99 crap in games aimed at children. It’s like pulling a Christmas cracker and finding a Council Tax bill and a crown of thorns inside. This week, John Stanton revealed Steve Jobs’ unfulfilled desire to leverage the unlicensed wireless spectrum to build an Apple wireless network, presumably for use primarily with iOS devices. Of course, if this had happened, it would’ve meant that Apple would forego the normal, carrier-centric model in the wireless industry, and would have had its own network to control and govern. Quite the concept, really. The giants holding onto the wireless industry would have been instantly and emphatically subverted in a truly profound manner. If you listen to certain naysayers, such revolutionary change is unfeasible due to legal barriers, but I’m inclined to disagree. In fact, I would go as far as to say this revolution is already well underway. 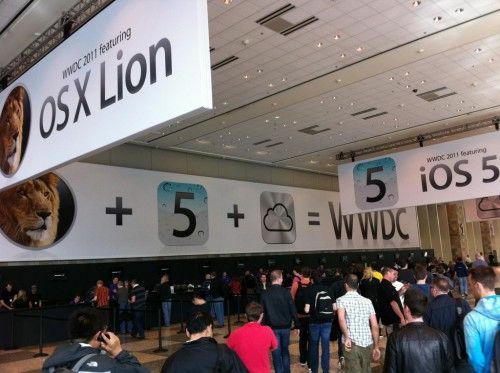 With the launch of iOS 5, Apple introduced iMessage. With iMessage, users are able to text message for free, sans-carrier control — even internationally. If Apple had attempted to introduce such a feature with the first iPhone, it’s likely AT&T would’ve laughed Apple out of its offices. But now Apple is one of the largest wireless manufacturers in the world, and carriers are scrambling to prove that their network provides the best iPhone coverage. Carriers that are used to placing their own apps and branding on phones quietly accept that Apple will not allow this, and offer little (if any) complaint. In essence, no carrier with any sense would risk refusing Apple, its principles, its software, and most importantly, its popular hardware for fear of significant damage in market share. As such, iMessage appears to be a trojan horse. It has been supplanted into the carrier environment, along with Facetime, and users are just steadily beginning to grasp the gravity of such features. Yesterday, hints of iChat code were uncovered in iOS. Many have reacted saying “it was only a matter of time,” and they’re right to say so, but what implications would an iChat feature hold for the iOS ecosystem? I doubt it would be a simple text interface, but rather an amalgamation of voice, video, and text chat, cross-platform, and without boundary. If so, Steve Jobs’ desire to subvert carriers may not occur in such an explosive manner from the outside, but may occur as more of a revolution from within. The Apple trojan horse is firmly parked in the industry, and it is set to open, and to burn what lays before it. Whether or not an iChat client would provide this vessel for change, I’d argue it’s an inevitability that Apple will build some sort of VoIP implementation into iOS – it’s a matter of logical progression. Many argue this is what is set to happen with the television, but indications point to hesitance in the industry. As a result, there are defeatist opinions opining about the impossibility of Apple’s rumored goal. And yet, Apple’s ability for rapid industry change is evident before all of us, whether most are aware of it or not. Carriers are allowing Apple to introduce features that wholly subvert their own pricing models, and the trend is only set to continue. While some of these features are available on other platforms (e.g., BlackBerry Messenger, and so on), it is unquestionable that Apple’s propensity for unique, simplistic solutions has the unparalleled potential for industry-altering change. Forget exchanging pins and usernames, Apple’s system is automatic and firmly in the background. Record labels balked at iTunes, and Apple conceded with DRM. DRM was later removed. 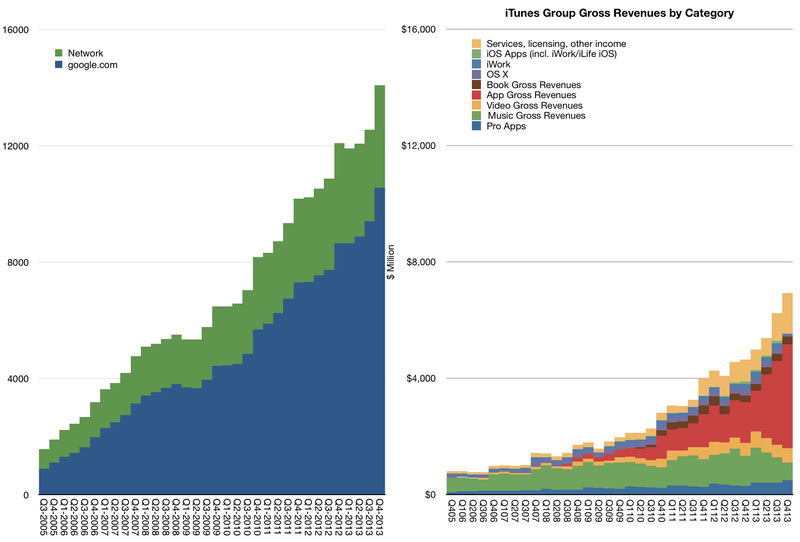 Apple got its way and now controls the majority of the digital media business. To that end, I’d argue that history is self-evident, and anyone who chooses to question the potential for the paradigm shifting power of Apple is shortsighted. Steve’s vision seems set to come to life, albeit via a different route, and I believe that is a marker for other shifts to come. During the spring and summer of 2006, Steve Jobs was negotiating with Fox and other studios to expand iTunes from selling digital music and TV shows to selling feature films. I had known Steve for several years, and as usual, he had very strong views — in this instance, about how movies on iTunes should be priced, marketed and presented to his growing base of devoted followers. Unfortunately, many of those views were inconsistent with existing media, and as was often the case, he thought the studio guys were Luddites (if not idiots). I was one of them. We spent many hours on the phone and in person hashing out ways to reconcile the new offering with our concerns about it. We were very eager to make it work — but nowhere near as eager as Steve, who wanted to corral all the studios and make one of his bold and exciting announcements, which he’d scheduled for September. We wanted to change things; he wanted to change them now. We argued and debated back and forth into the summer, and as August arrived, we remained a fair distance apart. So, as a respite from Relentless Steve, I sneaked off to my annual retreat on the tiny island of Antiparos, near Paros in Greece. We need to talk and if that’s not possible over the phone or via e-mail, then I need to come to Paros and go for a walk on the beach with you and resolve this. The time is now to begin creating a new online distribution vehicle for movies, and Apple is the company to do it. I need your help. How do I find you once I get to the airport on Paros? He never made it to Paros, but we eventually made a deal, and it evolved into a great friendship, one that I will always cherish. In iCloud I believe you will never be presented with such a dialog, no matter how much has changed in one of the instances while it was “offline”. The server-side iCloud, when there seemingly is a conflict, will make a decision and it will decide which one is the best (in Apple’s terms the “truth”). That is what Steve Jobs means when he says “The Truth is in the Cloud.” iTunes will decide which one is right and that’s it. iCloud will push that right one to any device that has this account that has a different version. But, here’s the trick – what happens if it’s not the right one? On the server side, it will remember all of the other ones, almost like versioning. There will be some sort of interface like “go and look at your contacts.” There will be some sort of way to say “show me previous versions and let me pick the one that is right”. You pick it and push it back up into the cloud and tell it “that’s the truth” and Apple will push it out. Dan Benjamin: Whatever is the most recent change will propagate but here are previous versions to pick from if you want. Gruber: Apple won’t reveal it but iCloud, on the server, will determine the truth when it detects a conflict that will never be published. It will act like a “black box”. Most cases it will go by the most recently implemented change — it will be undefined. The key is that if there is a conflict, they will remember the different conflicting versions. If it picks the “wrong truth” it will be able to go back and get the right one. That’s what I mean when I say no more merging or conflicts. 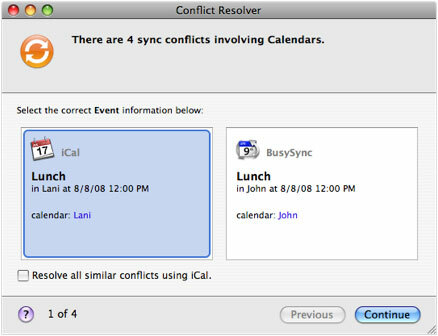 iCloud will make its best guess at merging & conflicts other than having you pick it. Dan Benjamin: Do you know this or is it just a theory? iBooks is and has been one of the testbeds for what Apple is now calling iCloud. iCloud’s expected has of course leaked, but that’s almost certainly the inevitable result of Apple’s dealings with the music labels. Music storage is a feature of iCloud; iCloud is not a music service.